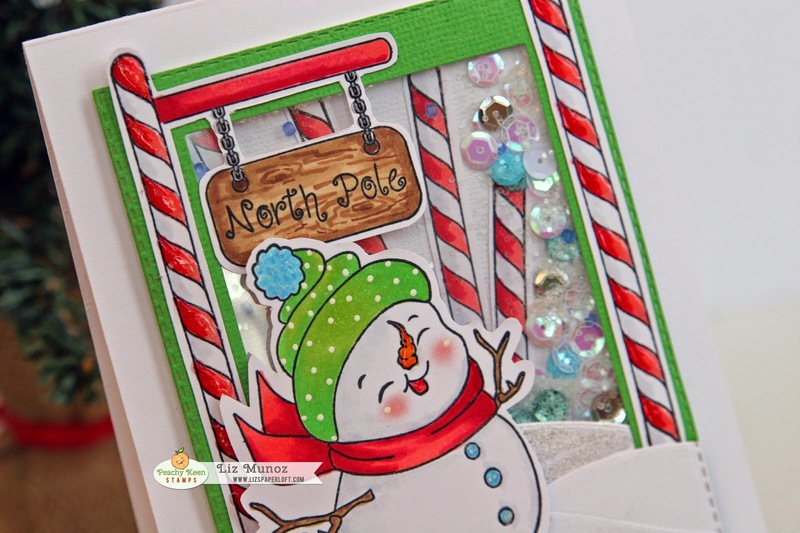 Liz's Paper Loft: OCC Day 2 ~ North Pole Shaker! 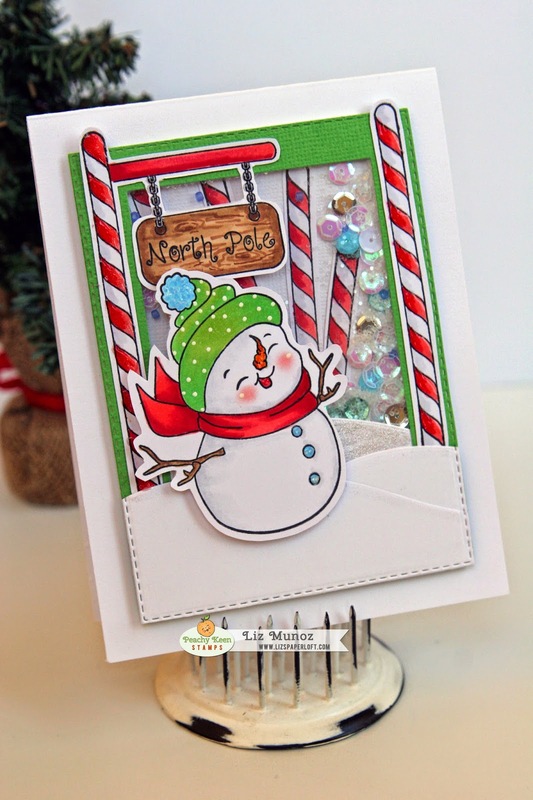 This shaker card was really fun to make, using My Creative Time Dies and Peachy Keen Stamps! Of course I had to pull out my copics! 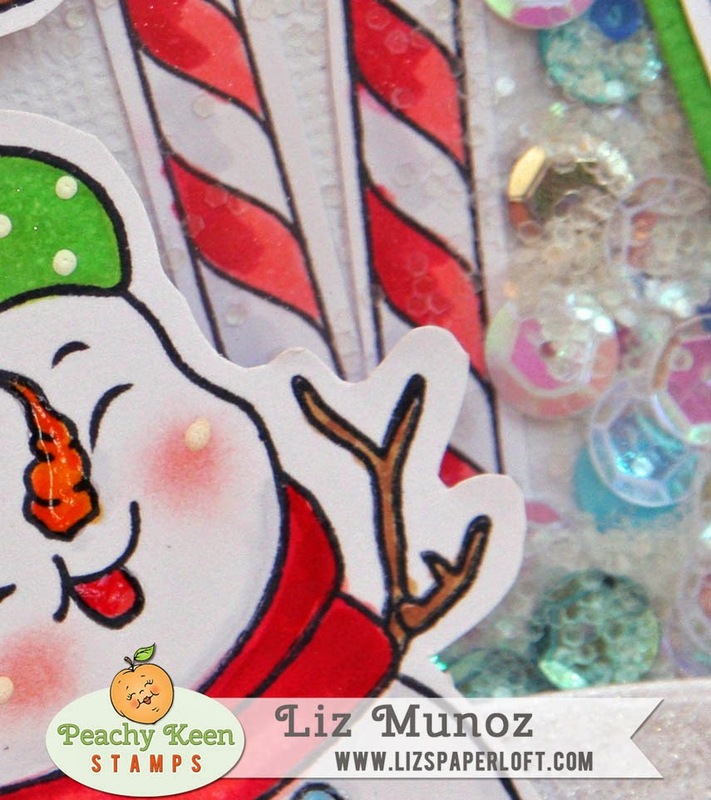 Oh by the way, this snowman stamp set from Peachy Keen is on special right now!